There's a new king in town, folks! 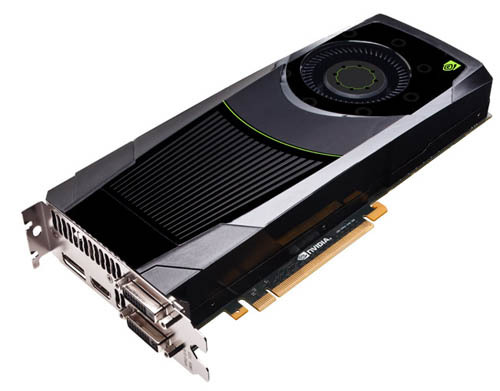 The GeForce GTX 680 is here and it's the fastest single-GPU graphics card that money can buy. But not everyone has £400+ lying around, so we've teamed up with NVIDIA and SCAN to give you the chance to win a GeForce GTX 680 for free! Looks tasty doesn't it? This here card features the brand-new GK104 GPU, with 1,536 CUDA processors and a core clock speed of over 1,000MHz. In English, and this is a rough translation, that means 'this here card will rip through all the latest games, and then some'. And here's a hint, you'll find the answer on page four of our in-depth review. We'll be pulling the lucky winner's name out of a hat shortly after the competition closes, so good luck! Of course if you can't wait to get one - you can buy one at SCAN today. Brilliant compo :) I am all over this! Entered. Great card for a great giveaway entered thanks.